Sometimes, the gentle butterfly imagines what it might be like to be other creatures . . . bigger, stronger, louder animals; those who don’t have fragile wings, who don’t have to fly around all day. But when she stops daydreaming and starts thinking about how her wings carry her through life's challenges, the butterfly reminds herself of the incredible strength within her colorful, breakable wings. Ella at the BKF book launch spring 2016! Meet my buddy, Ella! 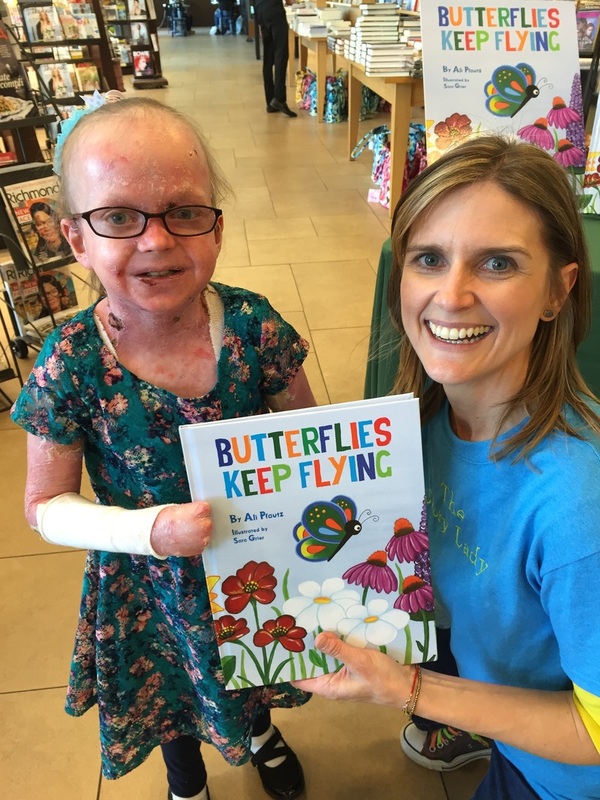 She's the inspiration behind our book, BUTTERFLIES KEEP FLYING. Ella is one of the "butterfly children." She suffers from a rare, painful skin disease called Epidermolysis Bullosa, EB. Ella's steadfast courage and grace as she faces daily obstacles inspired me to write a story about persevering and finding the light in each new day. 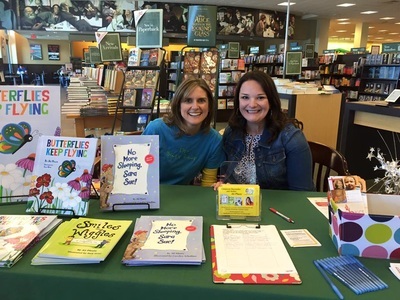 A portion of the book's proceeds are donated annually to debra of America, a nonprofit that raises funds for research and supports EB families. Click HERE to learn about the Kickstarter campaign that made BUTTERFLIES KEEP FLYING take flight! Click HERE to watch a VLOG post about the book and the mission of debra of America.